The 10 Best Taco Places in Arkansas! Like the rest of America, Arkansans are big fans of the endlessly creative ways to put together a delicious taco. From gourmet options, to the beloved Tex-Mex, Arkansas has the perfect place to meet all your taco craving needs. Here’s a few of our favorites to get you started! Welcome to your new favorite food group, Ark-Mex! Located in the Heights Neighborhood, this trendy taco place brings an Arkansas influence to your Mexican food. Local favorites include the pulled-pork tacos, the fried chicken tacos, and the hot tamales. Come get your taco on at The Social Taco in Rogers! The Social Taco is home to the most ridiculously delicious taco experience you’ve ever encountered. This tasty concept is brought to you by Chef Nando and is so much more than the traditional Mexican, Tex-Mex, and Southwestern tacos that you’re used to. 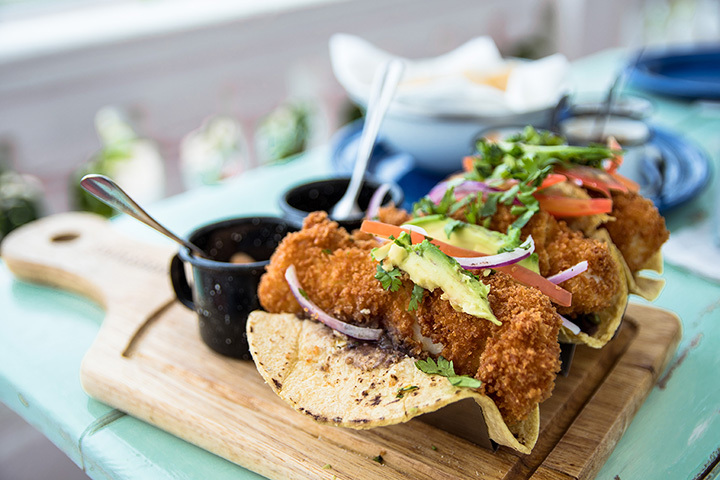 The Social Taco is an oasis of inspiration that your taste buds will thank you for! At Taco Mama in historic Hot Springs, it’s handmade Mexican food the old-fashioned way. Using fresh, high-quality ingredients and paying special attention to detail are just a small part of what sets Taco Mama apart from the rest. Join the movement at Mango’s Gourmet Taco Shop, where you’ll “embark on an amazing culinary journey that will delight your taste buds and satisfy your deepest craving for amazing Mexican food.” Not only are the tacos at Mango’s are made from scratch using fresh local ingredients, but locals can also have them delivered through Chef Shuttle. With multiple locations in Benton, Conway, Fayetteville, and Little Rock, Tacos 4 Life Grill is well-known throughout the state of Arkansas. With taco creations like the Thai peanut chicken taco and the sweet chili shrimp taco, Tacos 4 Life just might become your new favorite. In addition to their mouth-watering taco menu, Tacos 4 Life is on a mission to end childhood hunger by partnering with Feed My Starving Children, which allows the restaurant to provide the funds necessary to provide one meal to hungry children for every meal sold. Taco John’s began back in 1968 with a small taco stand in Cheyenne, Wyoming. With two great locations in Russellville, Taco John’s is a hit in the Central Arkansas area. Come on in for a pork carnitas quesadilla taco or the Original Street Taco…you’ll experience more flavor in one bite than in any other taco on the whole block! Warning: These tacos are huge! If you’re looking for chef-inspired tacos that are big and full of big flavor, then the Great American Taco Company is what your taste buds are talking about. A self-described “Picasso of taco stuff,” the Great American Taco Company is making a name for itself in Northwest Arkansas. What started out in Fort Wayne, Texas, has spread across eleven states with over 95 stores, including this one in Rogers. Locals love the Baja Tacos (crunchy and soft) at Fuzzy’s Taco Shop! Come on in and get one for yourself. If you’re craving real Mexican tacos then come on over to Miguel’s Taqueria in Fort Smith. Conveniently located on Rogers Avenue, Miguel’s Taqueria is one of the best taco joints in the River Valley. Mr. Taco Loco is a taco treasure, hidden in plain sight in Northwest Arkansas. A popular lunch spot, Mr. Taco Loco should definitely be on the bucket list of any taco-lover!